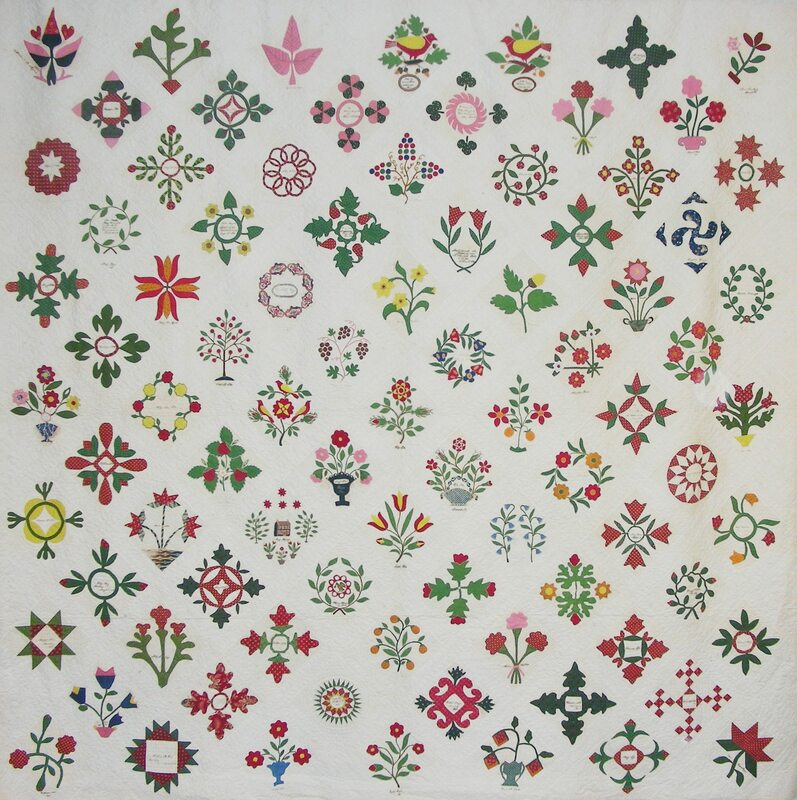 The pattern set includes all 85 blocks as well as a CD-ROM of pictures for each block, a color code chart and a history of this beautiful Pennsylvania (1851-1858) quilt. Each of these pattern sets made by tracing the antique quilt, include inked details and signatures that are found on the individual blocks. BAS will be selling the patterns using the form below.